Please welcome Matthew Sullivan to The Qwillery as part of the of the 2017 Debut Author Challenge Interviews. 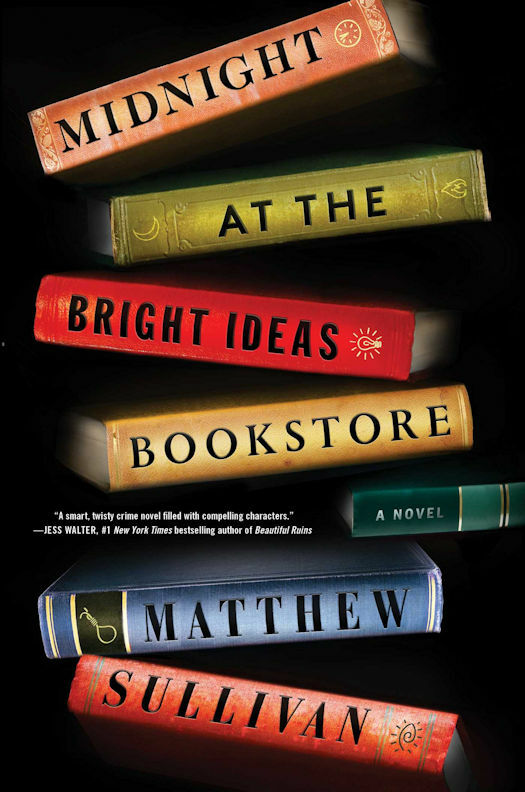 Midnight at the Bright Ideas Bookstore was published on June 13th by Scribner. Matthew: I started writing in earnest in college in the 1990s, mainly because I loved to read. I grew up in a household of eight kids, and we were constantly telling stories and acting out characters that we’d made up, so storytelling has always been in my genes. My mom was a writer—she published some articles and stories and two novels for middle-grade readers—so there were always writing books around the house, and she and took me to my first writing conference when I was in 8th grade. Our storytelling genes definitely came from her. Matthew: I’m definitely a hybrid. A lot of my writing comes from the discoveries I make along the way, so I feel like I always need to be open to whatever possibilities arise. At the same time, writing without a destination can create a lot of unfocused content, at least for me. I think a general path forward is good, as long as it is outweighed by a willingness to bail from that path. Matthew: My biggest challenge is finding the time to write, and then focusing when I find it. With a full-time job and kids and life, getting into the right headspace to write can be a real obstacle. It helps to carve out uninterrupted blocks of time, like going away alone for a few days with no goal except to create. I sometimes go camping alone with a laptop hooked up to a car battery. Matthew: Books, books, books. I really fell for writing because of the relationship I felt with reading. Of course, the authors that do the influencing change all the time, and have for several decades now. Early on it was Kurt Vonnegut and Tom Robbins. Later it was Lorrie Moore and Flannery O’Connor and John Updike and Denis Johnson. The list goes on and on, which is part of the pleasure of reading. TQ: Describe Midnight at the Bright Ideas Bookstore in 140 characters or less, like a tweet. Matthew: Bookseller Lydia, as a girl, was the sole survivor of a violent attack. Books are her sanctuary—and the way she solves a very old crime. TQ: Tell us something about Midnight at the Bright Ideas Bookstore that is not found in the book description. Matthew: The opening chapter originally had Lydia chasing a book thief (Joey) through downtown Denver. That was cut during revisions. Also, in early drafts, David was more of a jerk. TQ: What inspired you to write Midnight at the Bright Ideas Bookstore? What appealed to you about writing a psychological mystery? 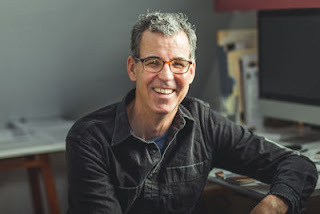 Matthew: The biggest inspiration came from working for a number of years at Tattered Cover Book Store in Denver. The story unfolded entirely from that setting, or at least my imagination’s interpretation of that setting. Psychological mysteries are appealing because they get to the heart of mystery fiction for me, which is the impact of crime on people. TQ: What sort of research did you do for Midnight at the Bright Ideas Bookstore? Matthew: The story is very loosely connected to an unsolved cold case that happened in Aurora, Colorado, when I was growing up (a family was murdered in the night by a man with a hammer, not far from my childhood home: The Hammer Man). But I intentionally didn’t research the crime until long after the book was finished. Instead, I focused on the emotions and fears I felt as a child in the wake of those murders and tried to capture that. I did seek some research on the history of Denver, mostly as a refresher, and some aspects of social work and family services to help me capture the character of the “BookFrog” named Joey. TQ: Please tell us about the cover for Midnight at the Bright Ideas Bookstore. Matthew: The jacket was designed by Tyler Comrie, and I LOVE the work he did on it! For a book about books, it was important that the cover capture not just the image of books, but also the textures and the feel. The level of detail on the books is incredible, from the slight stains to the slightly threadbare corners. And the little colophons—I think that’s what they are called, those tiny etched images on the spine—even refer to themes or individual moments in the story. He somehow did all of that while making it both colorful and sinister. I am totally impressed. TQ: In Midnight at the Bright Ideas Bookstore who was the easiest character to write and why? The hardest and why? Matthew: The easiest character to write was Lydia, I think because she and I have so much in common (such as a love for books!). The hardest character to write was her boyfriend David because he’s so different from me. TQ: Why have you chosen to include or not chosen to include social issues in Midnight at the Bright Ideas Bookstore? Matthew: Even though this is a mystery, realism matters to me. It was important to capture real issues that real people face, such as children who have fallen through the cracks in the foster system, or the ripple effects of violent crime—even decades later. TQ: Which question about Midnight at the Bright Ideas Bookstore do you wish someone would ask? Ask it and answer it! Matthew: What about the role of books in the book? Funny you should ask. I was hoping to capture the way that books are so thoroughly connected to individual identity… we are the books we read. Books are an intrinsic part of the quest for truth in this mystery. TQ: Give us one or two of your favorite non-spoilery quotes from Midnight at the Bright Ideas Bookstore. Libraries were havens for everyone… not just the clean and productive. Matthew: I’m working on another literary mystery, this one about a woman who ends up living alone in a very strange small town in the Northwest. I’m excited about it. Matthew: You are so welcome, Sally!